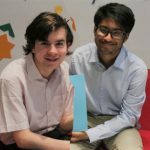 The Stories that Move CAS club at our school wants to promote the online tool box, so we took the initiative for a creative way to commemorate International Human Rights Day on 10th December. We are students at the International School Amsterdam (ISA) and after testing the tool and taking part in workshops during the development of Stories that Move, we want to be active in using it and spreading the messages it contains. 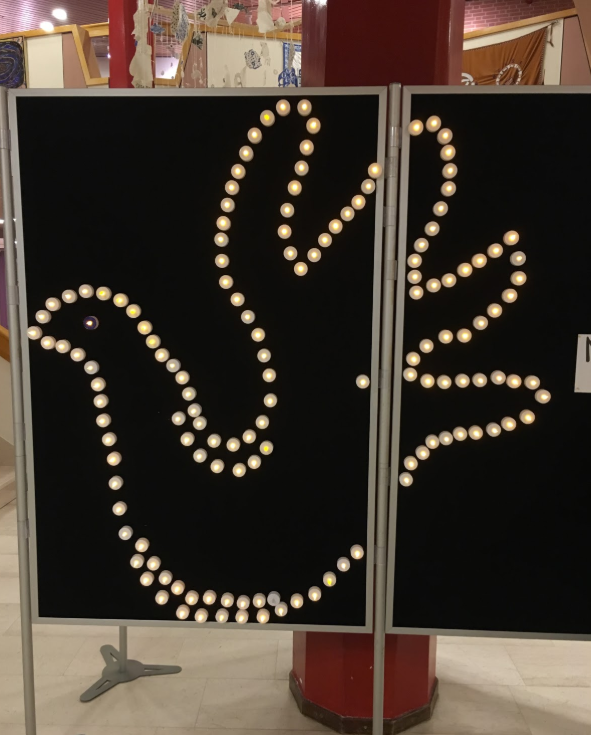 We placed dozens of candles that, together, form the human rights logo at the main entrance of our school. This installation represents light in a dark world. Opposite the installation, we placed two bulletin boards with questions for the school community to reflect on and to get people to think about the importance of human rights: “What word comes to mind when you think of human rights?” and “Why are human rights important?”. A donation box for the NGO Human Rights Watch was also put next to the Candlelight Installation. At the end of the day, the whole CAS club was very proud of what our installation had achieved. We got positive feedback from students, teachers and parents. Thoughts were shared enthusiastically, and connections were made to our daily lives. We were pleased that a parent said that it was good to be reminded of the strength and meaning of human rights so that we do not take these rights for granted. The club hopes that this art installation inspired and successfully advocated the principles of human rights and that it contributes to a better future .